Davidson Inspection Service is a locally owned and operated inspection company. Founded in 1993 by Jennifer Davidson, she and her husband Bob have built an impressive client base. Working for the clients of some of the finest Realtors in San Diego County has brought a large portion of their business on referral. 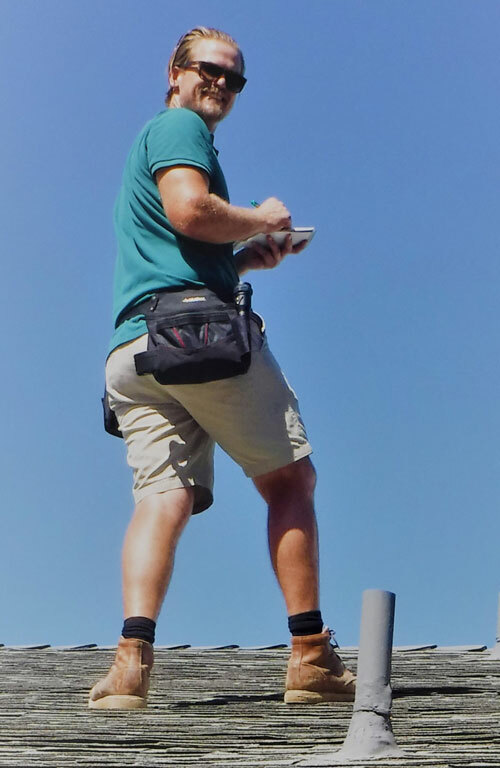 Lonny Davidson is a California Real Estate Inspection Association (CREIA) Certified Inspector who has been inspecting homes in all of San Diego County for the last 4 years. He has a background in construction as he worked for a Builder in Coronado for over 6 years off and on in between obtaining his bachelor's degree in Psychology. Son of two Master CREIA Inspectors who have been inspecting for over 23 years, Lonny was learning about Home Inspection well before becoming a full-time Home Inspector. He is currently on the board (Secretary) for the South San Diego CREIA chapter and is committed to continue to be involved with the Association. Lonny will make you feel confident in your decision to use Davidson Inspection with his knowledge and attention to detail. He feels that the Inspection should be a learning experience as well as an assessment of the condition of the home, leaving the client with a deeper comprehensive understanding of the workings and systems of the home. Jennifer Davidson founded Davidson Inspection in 1993 and has built an impressive client base. "Most of the inspections we now perform are referrals from past clients. We are pleased with the level of confidence that we have received." Jennifer enjoys exploring with clients the home they are purchasing, and educating these home buyers as to the specific systems of that home. If you are first time buyers, or a single buying your home, Jennifer is the inspector for you! Jennifer has achieved the highest status a home inspector can reach in the state of California as Master CREIA Inspector. She is one of two women inspectors in the state with this designation. Jennifer served on the CREIA state exam committee. Educationally Certified 1993- Inspection Training Assoc. Field training inspector for Inspection Training Associates/Kaplan Schools. This consists of taking home inspection students to a vacant house to perform a ‘mock’ inspection in order for them to learn the logical path of a home inspection. Correspondence Course Director for Inspection Training Associates 1994-2000. Instructing students in the home inspection industry was the primary responsibility, but also included was reviewing, revising, writing and administering exams for the courses at Inspection Training Associates. Bob Davidson has an extensive background in building and construction management of Residential, Commercial, and rental properties. Bob is a gifted communicator, and enjoys teaching. Whether it be teaching a class of inspectors about New Construction Inspections, Inspecting Commercial Buildings, or teaching a home buyer about their purchase, it is clear that Bob is in his element, and enjoys his work.